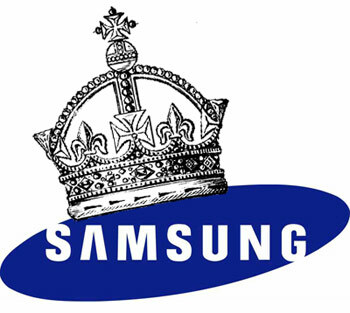 Home » Mobile News , Samsung » Samsung sold more than 26 million devices than Apple! Samsung sold more than 26 million devices than Apple! South Korean electronics giant Samsung has outshipped Apple by a two-to-one margin in the April to June period, according to a new report. According to a Juniper Research report, Samsung, which is already leading in the global smartphone market thanks to its flagship Galaxy series, shipped an estimated 52.1 million devices in the second quarter that was twice the 26 million iPhones that Apple claimed to have sold. Samsung's strong sales were boosted after the success of the latest Galaxy S III phone, which was launched in June and was an immediate hit among tech reviewers and smartphone users. "At the end of the day, the S III is really strong competition for the iPhone," the New York Daily News quoted Jonathan Geller, Editor-in-Chief of tech site BGR.com (Boy Genius Report), as saying. But keep in mind that the iPhone was released nearly a year ago, so for an 'old' phone it didn't do that badly," he added. The S III, also known as the 'iPhone killer' has a larger screen, higher resolution among other advanced features and sold up to 10 million units in June, the report said. Geller believes that consumers waiting for the release of the iPhone 5 during the fall may have also contributed to Apple's disappointing revenue collections. The Juniper finding also estimated about 132.9 million smartphones were shipped in the second quarter, which rose from 105.2 million a year ago.